GOOD THINGS COME in small packages. A motto I’ve often reminded coworkers who remark upon my diminutive stature. So when I spied a small flat leather case on the top rack behind the hardware checkout counter, my interest was piqued. At this time in my life, my efficiency as a tradesman depended upon compartmentalization. A box for this, a pouch for that. Having the right copper fitting or wall anchor, perhaps a handful of cement or two wire nuts, determined if the job would be completed in one trip. Small, efficient, purpose-build cases were the rage. And that flat leather, snap-closed case looked interesting. Clyde glanced over, spied the case after a bit, and said he wasn’t sure what it was. A step stool aided retrieval, and a moment later, I was holding a case of thick leather, well-stitched & riveted, with the heavily embossed words, SCHRADE TOOL. Childhood presents had impressed upon me the value of small heavy items, and the case’s heft intimated something good was within! “How much?” Clyde shrugged, said “Twenty bucks”. I responded with a skeptical frown, but peeled a twenty from my pocket, dropped it on the counter, and let him figure out how to handle a sale with no SKU or stock number. Got the case in my pocket before he could change his mind! Stamped SHRADE U.S.A., this multi-tool is perfect for an outdoorsman, tradesman, hobbyist, and anyone who likes to be prepared. I’ve actually acquired another; one for the truck and one for the desk drawer. 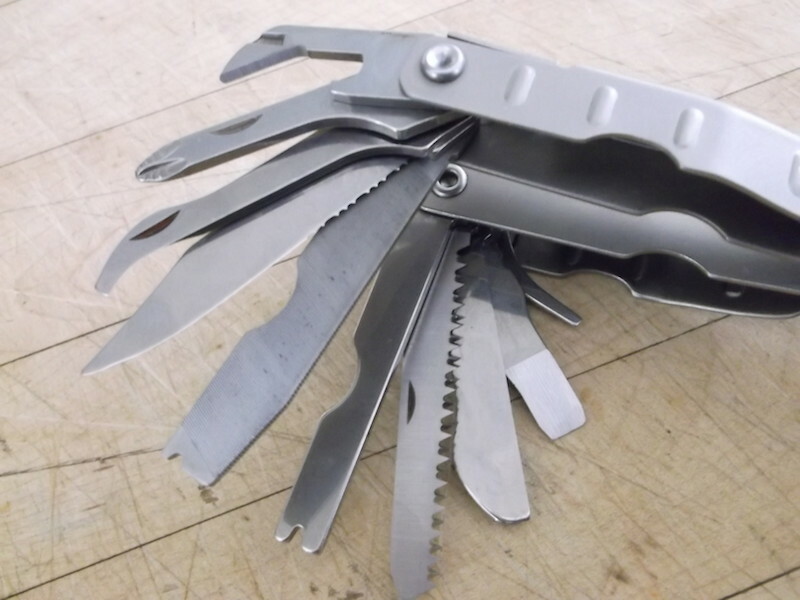 While I’ve yet to use the saw or metal file, the multi-tool has more than once completed its task, saving me a trip to a more complete toolbox. Many of the Schrade multi-tools are now imported. Their lifetime warranty is nice, but I still prefer the domestic tools when you can find them. 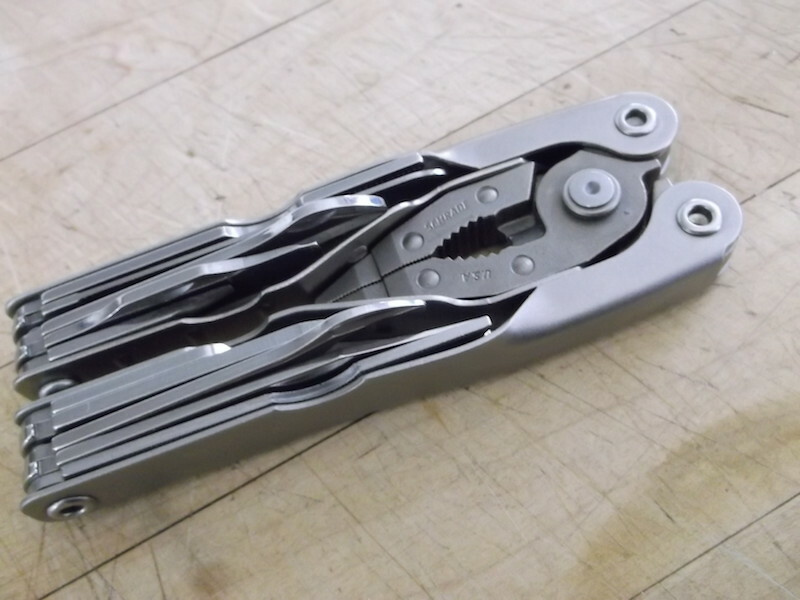 USA production Schrade multi-tool, about $1 to $20 at a garage sale near you. This entry was posted in Product Review and tagged american made tools, be prepared, garage sale bingo, schrade multitool.